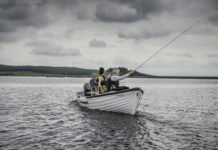 Finding the perfect Christmas gift for a fisherman or fisherwoman can be hard we know, so we have picked 5 of our favourites to give you a head-start! 1. 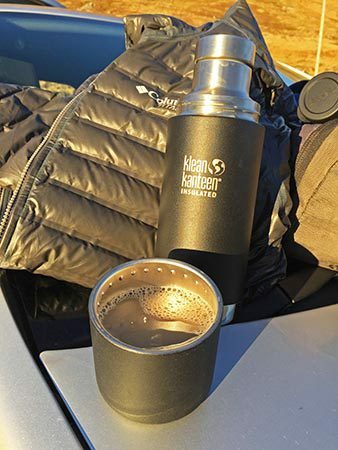 Klean Kanteen TKPro Insulated Flask – 100% Plastic Free! Available in three sizes (0.5L, 0.75L and 1L), I tested the 0.75L model in the more sensible black silicon covered model rather than the plain stainless steel version – who needs to be touching freezing metal in cold temps! I took it literally up a mountain with me recently in single digit temperatures and it kept my tea piping hot all day which is what you want of course. It looks sleek, is comfortable to handle with cold hands and the silicon covering stops it clanging around in your bag, box or backpack in my case. It also won’t rust, shatter or absorb and share flavours so load up with your favourite curried soup and off you go! Available from KleanKanteen.co.uk – £39.95 for the 0.75L size. 2. 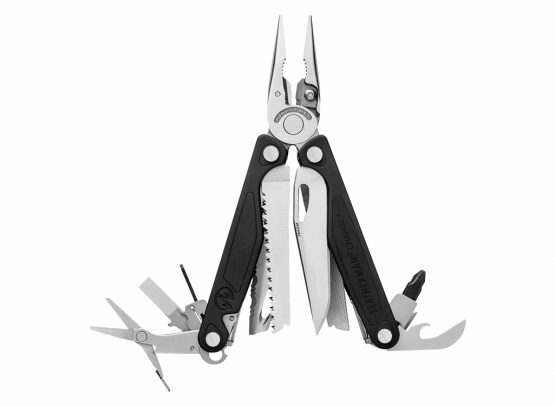 Leatherman Charge+ Multi Tool – the fisherman’s friend! There are a few more multi tools on the market these days than a few years ago, but Leatherman still reign supreme with a wide range of models and accessories to choose from. 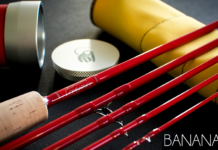 We singled out the Charge+ model as particularly suited to anglers because aside from the usual pliers, wire-cutters, scissors and knife blade, it also has some very useful additional items we liked the look of. Firstly – as well as a wood/metal file, on the reverse side of that blade is also a diamond-coated file that would be suitable for honing your hooks on. Then there is also a proper small-bit driver alongside the standard hex and flathead screwdriver heads, suitable for tightening up your glasses or perhaps undoing a small screw on some gear. A cutting hook is also included – perfect for safely getting into that horrible blister-pack plastic, or quickly cutting some thick nylon safely without the need for the full blade. As always it is very well made, should not rust thanks to the stainless steel construction and comes with a belt clip and nylon pouch with belt-loop. 3. Smith’s JIFF-FISH Knife Sharpener & Fishing Tool – great angler’s tool for your fishing bag! You can’t go wrong with a good gadget, and in a different direction from the Leatherman, the Smith’s JIFF-FISH tool has 5 useful angling tools rolled up into this one neat and ergonomic device. Whether you want to weigh or measure your catch, the JIFF-FISH has you covered with an integrated 39 inch / 1 metre measuring tape and scales that go up to an impressive 13 kg / 28 lbs with a hook that folds away when not in use. There is even a pen stashed inside the body so you can write down the results before you forget, or sign for that fishing licence or permit. On the knife sharpening side, reversible carbide blades allow you to get your money’s worth out of them, as you can flip them over once they stop sharpening efficiently. You never have to suffer from a dull camp or fillet knife again! A clever design also keeps your fingers away from the blade as it is being sharpened. Finally there is a hook sharpener mounted on the front with 3 different channel widths to accommodate various sized hooks. 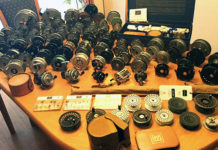 This will be getting some good use on my next fishing trips for sure! 4. 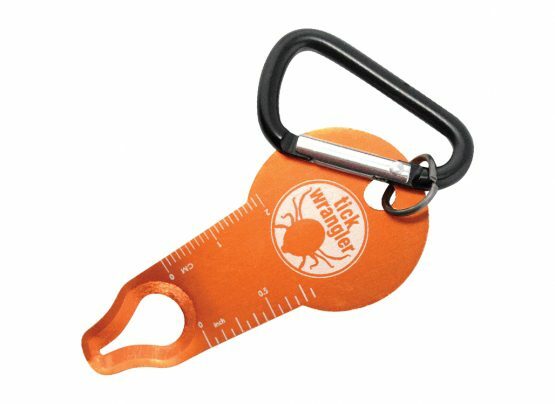 UST Tick Wrangler – helping get rid of unwelcome visitors! Most sources agree that ticks are becoming more common and widespread and that is a worry as they can carry the nasty Lyme disease amongst other things. As anglers, we are often walking in prime tick habitat amongst long grass and bushes, and particularly on heathland and moorland where deer are common (one of the ticks favourite hosts). 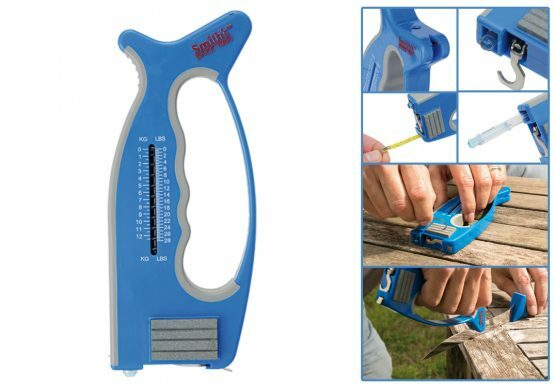 You need to be vigilant and know how to quickly and safely remove a feeding tick and that is where this neat little Tick Wranger device comes in handy. Used properly (instructions are on the card mount), it will remove the tick and importantly its head also which can often detach when trying to pick them off by hand. It doesn’t hurt to be prepared and it doesn’t cost much either. 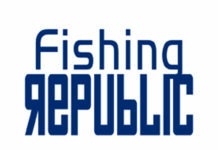 The useful carabiner clip attached means you can clip this to your fishing bag or vest so it is always handy. A great little stocking filler! You can’t beat a bit of humour for brightening up someone’s day and this hilarious new book of fishing cartoons is a wry look at us fly anglers, our foibles and just how did it all start!? 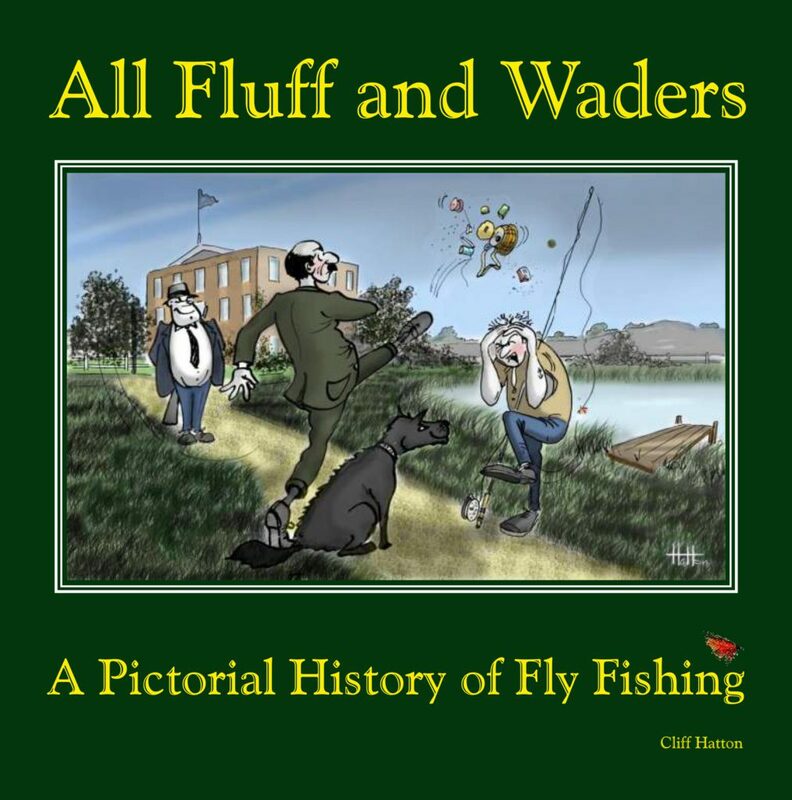 Cliff Hatton the author is a professional cartoonist and has worked for Private Eye among others, and you can see the keen observation and razor sharp satire in his excellent imagery. 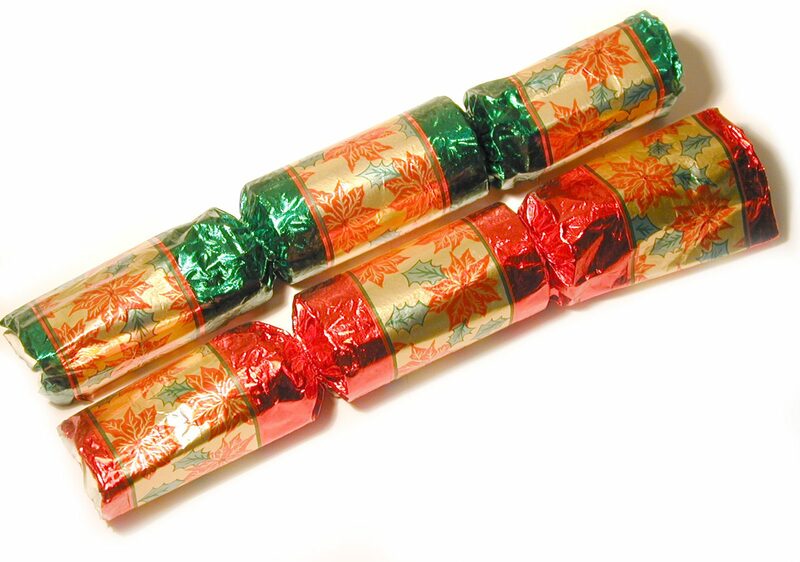 I’ve already bought several for friends and family this Christmas – job done! 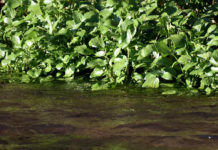 Previous articleSave our salmon, bass, mullet & sea trout – help get the nets out of the Southern estuaries. 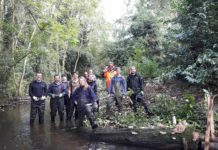 Next articleHave your say now to #ProtectWater and Save Our Salmon!